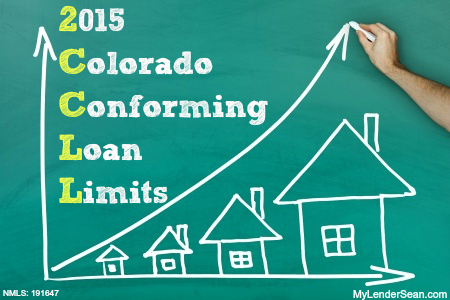 Regular conforming loan limits for 2015 are unchanged from 2014. However, high-cost area loan limits in 46 counties across the US did increase. Colorado had 11 county increases, they are marked in yellow in the graph below. Colorado counties that were increased from 2014 to 2015. All conventional loans by way of Fannie Mae and Freddie Mac have to stay within these loan limits. 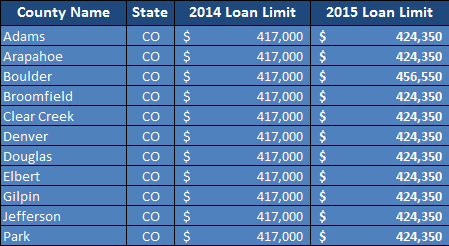 In addition VA also follows these loan amounts. Even though VA does not have a maximum loan limit you are still required to pay 25% of the difference between the conforming loan limit and the purchase price. 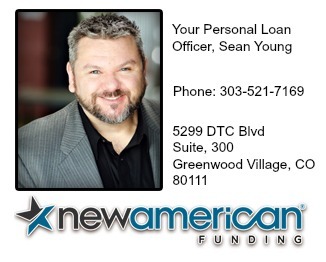 Please call or email with questions about conforming loan amounts or programs. 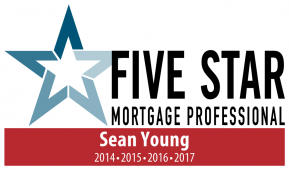 Want to get pre-approved for a conforming loan, Click here to get started.